With support from local government, community leaders and local businesses, the UC San Diego Center for Community Health Retail Program hosted local health experts from across the nation during a pre-conference mobile session for the 8th Biennial Childhood Obesity Conference, highlighting the Healthy Cocina Initiative. The initiative is a community-driven pilot that seeks to make the healthy choice (locally grown produce) easier while reducing food insecurity by working with residents and retail owners to offer affordable, nutritionally dense, prepared meal options. 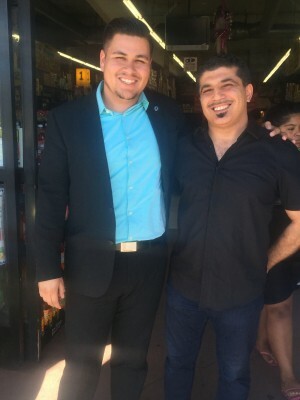 Pictured: Rudy Vargas, City Council Representative for Councilmember Marti Emerald (left) and Sammy Kurkies, Manager of Supermercado Muphy’s (right). 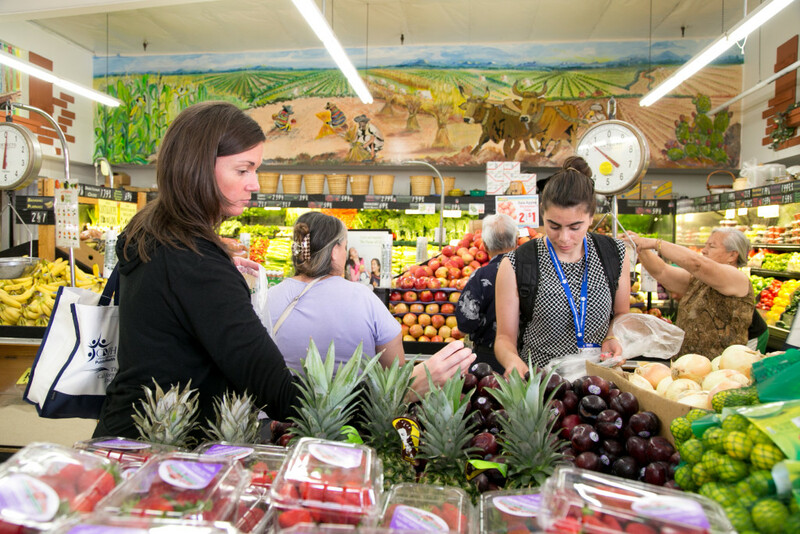 Picture taken during UC San Diego – Center for Community Health video shoot highlighting the success of the Healthy Retail Program at Super Mercado Murphy’s in City Heights. In addition to a poster presentation during the 8th Biennial Childhood Obesity Conference, the Retail Program’s Healthy Cocina Initiative was selected as a pre-conference mobile session. The mobile session was at capacity with over 30 participants in attendance from across the nation. 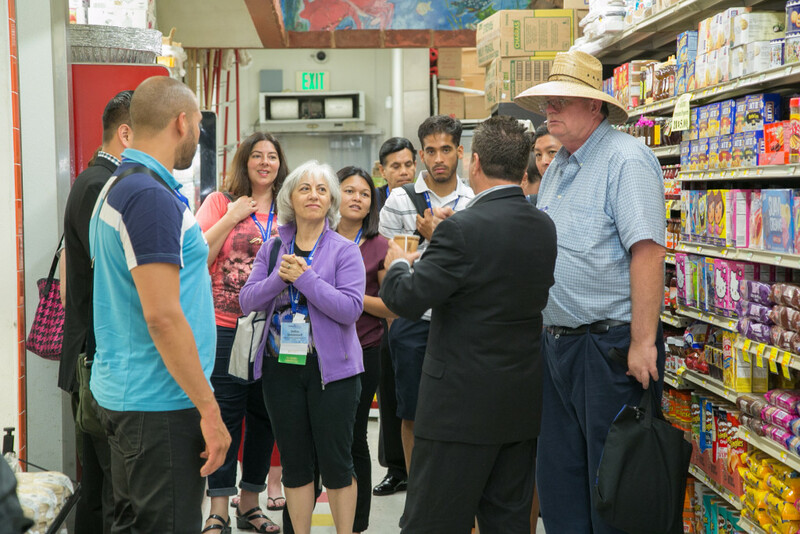 The great success of the pre-conference presentation was in part due to the involvement of partners and panel presenters This included the City Heights Town Council President, a District 9 Councilmember Representative and the owner of Supermercado Murphy’s – one of the champion retailers. 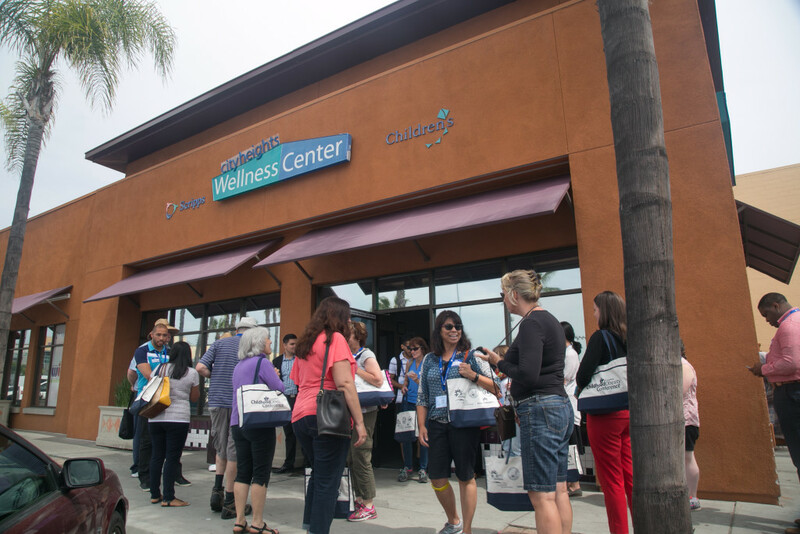 After an informative morning presentation at the City Heights Wellness Center from program leads Shana Bruno and Ariel Hamburger, participants enjoyed a walking tour of City Heights. District 9 Councilmember, Rudy Vargas, and City Heights Town Council President, Jim Varnadore, led the group on a three-block walk where they were able to learn about the landscape of the Retail Program’s work and understand the initiative’s socio-economic impact within the community. Upon arrival at the market, participants received a tour to see the initiative in action. The group enjoyed the opportunity to interact in discussion regarding how to gauge cultural appropriateness while implementing the retail program in other communities. Local farmer, Omar Ayoub from Eden Tropics, a distributor of local produce to Supermercado Murphy’s, was available on site to answer any questions concerning farm-to-store efforts. This type of interaction with a local farmer was vital to the efforts in San Diego and was a highlight, of the mobile conference session, for all attendees. Participants concluded the conference with the ability and desire to implement this turnkey program within their communities. The Retail Program plans to develop a toolkit as a model for the implementation of the Healthy Cocina Initiative by public health organizations and retailers. 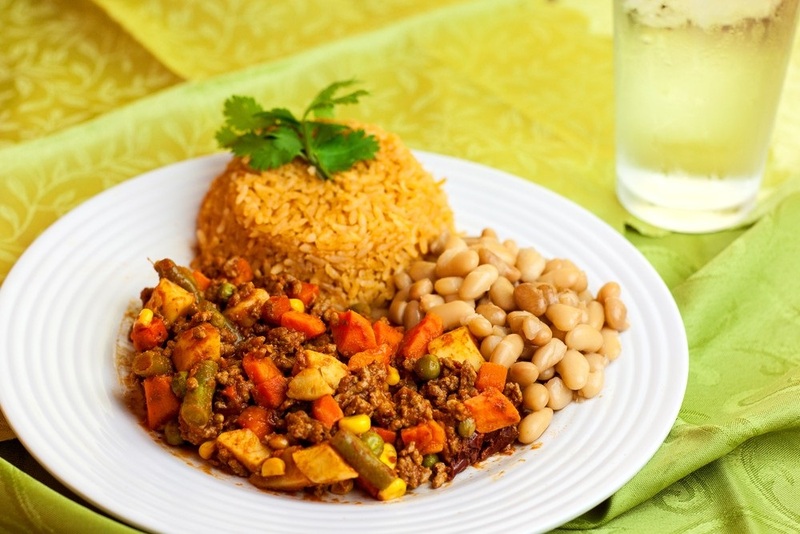 Are you interested in beginning a Healthy Cocina program within your community? If so, contact us for more information.